Home > Opinion > Scotland’s Blockchain Democracy? Scotland now has the potential to become the world’s leading direct democracy country argues Nicholas Russell. Reflecting on the 2014 referendum process, Scots were 21st century citizens, interacting with biased 19th century institutions, using 15th century voting systems. And Scots voted in 2014, mostly, without taking reference to the official White Paper, upon which the vote itself was meant to be based. Most Scots had never even heard of any White Paper? It was indeed a book, 640 pages long. So clearly, Scotland’s Democracy (capital D), now needs to be propelled 600 years forward, and into the 21st century. Today in 2018 it looks like there’s going to be another viable alternative. It’s called Blockchain Democracy, or as most people will simply come to know it, digital voting, or e-voting. And it’s to be outlined systemically, as unhackable. There’s a very significant differential between where digital vote capability was at even 5 years ago, and where blockchain and cryptography security academics and engineers are now taking it today. That new digital future for democracy, certainly appears to be absolutely centred on those two specific aspects – ‘blockchain’ and ‘cryptography’. Enough with the technical words, here’s what Scots need to know. Clearly, there are very significant implications for Scotland’s future. In looking at replacing Westminster’s archaic voting establishment, with our very own blockchain system capability here in our own country, the scope is thus far Scotland’s digital technology takedown of the 21st century. The recent 4 month Scottish government Public Consultation on Electoral Reform, concluded at the end of March 2018, and online voting trials were backed by many leading academics. The decision was then subsequently taken, to proceed with trials for a new digital future. There are two huge advantages pertinent to Scotland, for switching from paper voting to digital. Firstly, an opportunity to improve our society and culture, by increasing digital inclusion. Secondly, scope to accelerate democracy itself. There are truly amazing values for the demonstrated implementation, for Scotland’s citizens. We are looking at very significant benefits for our economy, environment, innovation, and public services. As at 2015, studies suggested 80% of Scots were digitally enabled. We’d do well to take digital lessons from Scandinavia. As one example, Norway already has 96% digital inclusion. So, Scotland’s government needs to quickly define how to close the digital attainment gap. Libraries have internet access? Some towns have no libraries! Could we see internet access created in supermarkets? Or is it simply a matter of ensuring that everyone has a smartphone? How about a wee tax discount, for everyone who democratically participates? Or should we maybe even do what they do in Australia, and make voting compulsory? C’mon Scotland, think radical and get digital exclusion fixed. And please do it now. Scotland is truly blessed with the technology skills of teams of academics who can create a totally new digital ecosystem for all future democracy. There are two particular centres of global academic excellence. These exist at Edinburgh University’s Blockchain Technology Laboratory, and The School of Computing at Edinburgh Napier University. The world’s first advanced blockchain identity laboratory, is about to be created within the latter. Fundamentally, the future infrastructure for Scotland’s e-democracy can be created and run here in Scotland. In entirety. Scotland now has the potential to become the world’s leading direct democracy country, and the academics now appear to be on the very threshold of that unparalleled success. A whole, clear, glorious new democracy lies ahead, if the final frontiers can be breached. However, academics will not define any success with their trials, until every part is to their satisfaction. Academic kudos now hinges on that closure, our thoughts and best wishes with everyone who is involved. Digital revolution and radical change is about the need to re-evolve political, economic and social justice back into the hands of Scots, preferably through legislation and policies that make human sense. New digital democracy platforms, could therefore become the biggest thing to happen in Scotland, for a very, very long time. Any Scots who are desperate today, for another referendum? We strongly recommend that you pause, and allow the blockchain academics and engineers time and space to trial the new digital systems. Because by shifting from paper to digital, this can firstly enable more truth! The previously mostly ignored White Paper, becomes very slick, compulsory tickbox info pack downloads, distilled right down to the very factual essence of what is required. People will therefore know exactly what they are voting about. That, is progress. It is also, revolutionised democracy for Scotland. Instead of people voting purely on their own perception of mainstream media, blockchain provides facts. It also removes bias and lies from mainstream media. So who gets to define what is within the info pack downloads? An apolitical Ethics Committee, of course, is the answer. Ideally with a combination of academics, and us ordinary Scots as well. Just one in seven Scots is happy today, with the British political system, a new study has claimed. So change it people! Blockchain democracy is exactly what we’ve been waiting for. We require to focus collectively on how mainstream and marginalised Scots alike, can use blockchain technology and digital assets ethically, to create a new and abundant life. In the very process of creating change, this can also stimulate the emerging community of developers and practitioners of ‘blockchains for social good’ applications. Positive social change can be brought about, with brand new solutions for decentralising, as well as disintermediating processes. Providing there is strong governance. By virtue of today’s circumstances, the case for blockchain democracy therefore grows stronger and even more compelling, by the day. Subject to the successful trials, there is now going to be an opportunity for Scotland’s government to very carefully consider how modern era technology can be used to measure opinions in Scotland, on a national level. There are potentials for digital inclusion and democratic participation, in terms which are absolutely unprecedented. 800,000 Scots never participated in the 2014 referendum. Let’s please consider holistic digital inclusion, for all. Given what Scotland’s citizens have been subjected to over recent years, it is clear that the digital democracy revolution also has great capability to be a dictatorship of the exploited, against the exploiters. Scots must also now create totally new systems to counter the social media perils of targetted online adverts and psychographics. Education via modern technology is only one answer to many new challenges. Based upon all accumulating facts and figures, we’d like to suggest that Scotland’s number 1 prioritised debate today, is no longer about having a referendum. It’s about switching from paper to blockchain digital, in order to have a better referendum process. And there’s no need for it to be a YES or No question about Independence. Why not ask Scots another question, ‘Do you wish to see Full Sovereignty and all of Scotland’s powers restored back to Scotland’s people?’, is surely a more relevant 21st century question? By all means, call it a referendum if you wish. It could also perhaps be re-named, as ‘an Online Register’. Ground-breaking digital technology can certainly support decentralised methods for achieving consensus on Scotland’s future. In Scotland’s case this is also now very much about our own government providing their best democratic accountability, by using the most relevant modern technology. The digital democracy revolution, most importantly, can be a revolution in sentiments, manners and moral opinions. On that basis, Scotland’s government surely firstly needs to finance and create a brand new government department, to physically implement, oversee, and then continue to evolve all direct democracy technology. For accumulated quotes about e-voting, from Scotland’s academics, politicians, newspapers, and business community, please visit Yes Day Scotland here. Digital trials, e-voting in Scotland, via Professor Bill Buchanan OBE. Interesting piece which will take several reads to fully digest and most importantly understand but another piece to add to the already huge information resource – IF PEOPLE AVAIL THEMSELVES OF IT, instead of relying on the dreadful unionist/establishment negative press with all their lies and ‘FAKE’ stories and casting worries where none existed e.g. Pensions. Like you, I found the article very interesting and, like you, I need more time for a bit of reflection. I thank the other commenters below have given some useful insights into the issues. I have a tendency to look favourably on this approach because the increasing development of online forums, such as Bella, have brought about a much more nuanced debate and have opened a multitude of sources of information. We hear a lot about ‘fake news’ and the like, and, without minimising such problems, the greatest amount of criticism of alternative media comes from the ‘traditional’ media, who, of course have a vested interest, firstly, because of the increased competition and, secondly, because it significantly reduces their power and influence. I would like to see further trials. Perhaps, with the Community Empowerment Act now in operation in Scotland, it could be used to explore ways in which local people to determine local priorities. The current Glasgow city government has a manifesto pledge to devolve to each ward authority to spend £1 million of Council funds (within parameters, of course!) Using blockchain, et al might facilitate a wider based community empowerment. Trying it out at the ward level, also allows for face-to-face meetings in the street, cafes, supermarkets, pubs, etc. One argument against IT systems is the ‘atomisation’ of society as people bash away on their keyboards alone in rooms, whereas, most of us have to go out and about in our own neighbourhoods and blether with neighbours and people we meet. The online decision-making could help re-forge local personal connection. So I am a former researcher into ‘online voting’. It not the technology of blockchain thats the issue. Its all of the other software/hardware that is. The process of installing, verifying and certifying the whole chain from device you vote on to the servers that process it et al, the network devices et al. All are wholly compromised governmentally. Ask Snowden. Ask the CCSR. Or ask me! Blockchain networks are not ‘wholly compromised governmentally’. Of course not. Mobile phones are safe, nobody monitors your laptop camera, every voting machine used in the USA is fully safe, the network devices, as Snowden noted are supremely reliable, and you trust massive US multinationals with the phone O/S & app stores et al. I mentioned Snowden because he opened pandoras box for us. Blockchain is one part of the solution, holistically we need to consider everything. You seem like a guy in the know. What are these great financial. social justice and political benefits he talks about creating and how does an electronic voting system create them? Why is it necessary to ask a different question on the indy subject? Is it because they do not like the answer? This all seems to be a push for funding with the promise that somehow the electorate can be stitched up by the people who control the money. Is that not the current argument of the nationalist – that establishment money buys the electoral system? Why would we accept the same situation in the hands of a political class in Scotland who are so far out of touch with the majority of the electorate? I am an advocate of change only when the tangilble benefits can be appreciated by all. If technology can safely provide more voter interaction – and I believe it can – then its good. But believing that the Sword of Damocles that is 'blockchain' will cut away all danger .. well that naive, and we see every day – problems with computer systems. So Spectre demands an open source processor (OSP)/BIOS. Networking – mobile and switched – open sourced – on an OSP. Voting devices with secured DNS and open sourced. An actor is working against you. Snowden showed us the bad actors. TSB, RBS, Equifax, Intel, AMD etc etc … all made massive mistakes. I take it that you have not actually researched block chain as it addresses the issues you have raised. In my opinion it IS the answer. I teach, cybersecurity and teach ethical hacking / penetration testing at one of our largest academic institutions. (and I didn’t always wear a white hat).Until the advent of block chain your statements would have been quite correct imho. I like the idea of this of using an electronic voting system that no one understands how it works. That’s a good starter and then we can factor in such lovelies such as a system produced by a totally honest and well intentioned corporate such as Google, or Cambridge Analytica, or Facebook. Factor in that the electronic system will be totally un-hackable, total secure and we will have the recipe for democratic success. In the meantime we will just have to live with austerity, food banks, fuel poverty, increased polarisation between rich and poor, the worst pensions in Europe, relentless foreign conflict and all of the other little difficulties that electronic democracy will remove. Otherwise a very interesting and well intentioned piece that I’m sure will stimulate debate. Digital technology has indeed the potential to accelerate and expand democracy, although there are a lot of considerations. One is that not all decisions should be accelerated. Some deliberations should be slowed down. But yes, decoupling democracy from the statutory 5-year fudge would be more rational. Providing a “bomb Syria now” button would not. I wonder at an apolitical ethics committee. No, I cannot envisage one. Let’s not get burnt by the white heat of new technology. There are apparently several known problems with blockchain technologies that are potentially serious enough to call into question its use in formal direct democracy. Let’s just agree that no system is completely secure and invulnerable. However, the call to test it in pilots (either small-scale, low-impact or advisory) is, I feel, wholly justified and should be welcomed. For transparency, the inner workings, inputs and outputs of the system should be open to scrutiny in accessible (and machine-readable) form, immediately, so we can have confidence that the system is working as planned. Such systems will need constant monitoring with teams of technology, media and political experts (“white hats”) attempting to hack and distort, and immediately publishing any concerns. Scotland seems like a good testing ground for this technology, but (as I think the article is saying) it is not so much relevant for any independence referendum, as for exploring a range of component issues some of which have a bearing on it. We should be able to predict that such a system will produce some unpredictable results, as the complexity of human political interactions create novel patterns, and perhaps some new political order will appear out of the current chaos of opinion-blizzards. wonderful how new technology (and the involvement of computers) is promoted as the answer to everything. Just ask the TSB and their customers how they are getting on! For a more detailed look at the architectural underpinnings in Scotland, here’s an absolutely superb article on ScotGov’s public infrastructure blockchain partner Wallet Services, via The Scotsman. Whilst writing, many thanks to Wallet Services: Stuart Fraser Co-Founder & Managing Director, and Peter Ferry Co-Founder & Commercial Director. We met up back in November 2017, discussions centred on ‘Is it going to be possible, for Scotland to enable future blockchain democracy?’, the answer was ‘Yes, subject of course to very carefully phased and evidenced trials’. That’s basically certainly what the endeavour is! And for anyone contemplating re academic perspectives, please do visit the link to phase 2 of the Business for Scotland Blockchain Trilogy. The work underway in Edinburgh Uni Blockchain Technology Lab, is quite incredible. There are slides through to academic presentations, on exactly where it’s at with cryptography security. This does seem rather dazzled by the technology – you could pretty much do the same thing now, for free, using SurveyMonkey. But the critical issue is the one that is glided over here – who chooses the questions? If it is to be a strong version of direct democracy, people could perhaps do so through petitions. And are we ready for a poll on the death penalty? And if it is a Yes, would that be binding on governments and parliaments, or only advisory…? It is not possible to do the same with SurveyMonkey. And nor is it possible, with the £50M of technology which has already been offered https://yesdayscotland.wordpress.com/2018/03/26/scotland-now-has-potential-to-become-the-worlds-leading-digital-democracy/ – simply because we do not yet have access to Scotland citizen ID’s interfaced with electoral roll. If ScotGov don’t deliver the ability for people to express opinions using blockchain technology, it is possible (as and when we do have ID’s) that HorizonState technology could be used for a modern era Scotland Covenant. It’s maybe one to watch out for, in 2019. Hiya Nicholas, would the application of this require I. D. verification? If verification was via mobile phone, could the user be easily tracked? Just as last week an eminent Lord suggested was desirable? Nicholas, in terms of people giving their opinion online – which is the purpose of your proposal – then SurveyMonkey could do it. The specific feature of blockchain, having a network of cooperating servers to ensure accuracy, rather than a single, central server, is the only difference. Both approaches have advantages and disadvantages, but for the voter, and for the results, it wouldn’t matter. The bigger questions are who sets the questions and who does what with the answers. Digital technology is, I would argue, only going to make a major positive contribution to democracy if it supports deliberation (and all the other components needed). Think you answered your own question on voting from abroad. Eligibility to voted can easily be control by unique citizen ID. Its simple to abuse the postal votes and block chain could fix this. It could also stop the not uncommon practice of people casting votes for the recently deceased. As it stands I can claim to be anyone and vote on their behalf. A better system would be to extend the time allowed for voting so that people can choose the day they vote this could be a one month period easily,then people in remote villages and islands can vote in a polling station in their nearest village and on their island what’s the hurry ,accuracy is more important. There should not be any postal votes accepted except for people in hospital care homes etc and even then it should be signed off by the hospital confirming they are an in patient. People I’ll at home for more than a month again should get a doctors letter to prove they cannot get to a voting station. We ask people to provide sick lines from their doctor when off work for a week or more so we can ask for the same if they say they cannot attend a polling station to vote. We will know if there are more people voting than are living in the country !! I don’t believe any electronic voting system is not potentially subject to abuse. I agree with much of Terence Callachan’s comment but the problem of longer periods to vote gives a problem of security of votes over several days which I feel make this unacceptable. This is one of the major problems of postal votes. Voting in one day allows the physical monitoring of the process by interested parties, at the poling station. Introducing several overnight storage of votes makes this impractical. One way to help is provide more poling stations and maybe free public transport where distances are a problem. It is Nicholas interesting how little response has been received to your piece. Very possibly this arises because you know too much about a subject that too few know little. People of all shapes and sizes, of much intellect and little, of grid education and bad, have know knowledge of block chain. No surprise therefore that given Google, Facebook and Cambridge Analytica that folks ignore the issue. Indeed, if voting was like Facebook or Google I wouldn’t bother. Direct democracy . It’s a scary idea. Remember that until quite recently, there was majority support for the death penalty. This could make it easier for hardline and extremist groups and the media to manipulate policy on single issues, without the filter of a political establishment. While I’m sure most people are despairing of our politicians and the system has some serious flaws, direct democracy could have some very unfortunate consequences. We have seen examples of wording bias in referenda, how do you ensure that the questions are phrased fairly? It is the role of the political establishment to sometimes make unpopular decisions but inevitably all decisions are going to be unpopular with some people. This does not warrant removal of the checks and balances of a parliament. Another question? How could this work on situations relating to national security, where necessity dictates that some or all of the issues involved in a decision are not in the public domain? While undoubtedly an interesting idea, it has the potential to be a sort of mob rule. However, that is not a very rational form of direct democracy. In our current system, people are excluded from government, given only the sop of a very restricted vote on a personal representative who may or may not attempt to carry out a non-legally-binding programme with varying levels of competence within a system heavily protective of the status quo with no right of recall even if they fail to turn up. Or an occasional poll. We could have a system where the people where integrated into government, without the all-vote problems you quite reasonably identify. An alternative form of citizen democracy would instead concentrate on deliberation, investigation, research, raising of problems and offering of solutions, testing. This would go far deeper than the narrow list of options offered by a voting system. It is certainly possible to have collective decision-making without voting at all, although many systems will use some form of voting perhaps where there is deadlock. This type of democratic engagement will require effort, discipline and probably a lot of training and learning. 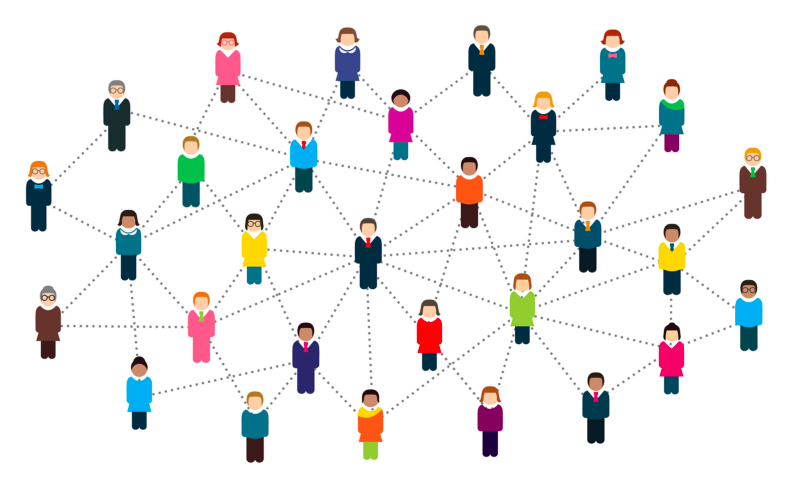 There could be communities of interest that focus on certain topics that (unlike vested interests) contain a representative spectrum of opinions. There would be people engaged in processes and the design and testing of policies. For example, if there was enough demand to move towards evidence-based rather than ideologically-driven policies, a system of randomized controlled trials could be introduced. Without the success or failure of policies being tied to a party or ideology, these could be continually improved through practical methodologies. A knowledgebase of political arguments could be assembled (perhaps in a format like Wikipedia) so that they are publicly available in their best forms without common distortion, with standard refutations of false facts and fallacious logic. Virtually everyone would be able to contribute something according to their abilities, but not at a flat rate of one vote per person, except perhaps in exceptional cases. Decisions could take place at a rate appropriate to each case and type, not dictated by the constraints of an electoral system. At the moment, this public integration could sit alongside and augment existing political institutions like the Scottish Parliament. Digital technology will be needed to support such a system, but constant care would be needed to see that it was not corrupted, abused or flawed. The result of this monitoring may make for more open and transparent government. Just a thought but a bit like the funding of Ulva is this really something we should be spending public money on when people are starving and cannot be housed? The tartan tories are alive and well! So obviously democracy would be nice and all, but anybody who claims any technology is ‘unhackable’ is definitely disqualified from implementing it. There’s no such thing as an unhackable system and there never will be: any system that can be accessed can be accessed fraudulently. Anyone who tells you otherwise is not a technologist, they’re a cargo cultist. If the proponents of this cannot ‘argue’ against simple logical analysis, simple technical analyis, and resort to basic abuse online …. Its not ready – and is getting less so. To firstly reply to a reader comment, I can certainly confess to being dazzled by the technology, when originating the #BlockchainDemocracy #OCM #DLT conceptual for Scotland, 3 years ago. Aye, time flies. I am no longer dazzled by the technology today, but I remain totally dazzled by what the technology has capability to do, for all fellow Scots, and in much wider contexts as well. Those people, who say ‘it cannot be done’. Please tell us why Estonia, one quarter the size of Scotland, is already doing it! All that we actually need to do in Scotland, is emulate the blockchain success, of Estonia. And those who say it cannot be done, specifically, in Scotland? Well, admittedly it has never been done before on a national scale of 4.4M voters, so we are certainly looking at blockchain academic and engineer endeavours, to achieve a massive and previously unachieved feat. Our thoughts and best wishes with the pioneering blockchain evangelists, who are charged with the trials. Over on twitter, I’ll gladly chat with anyone who has anything constructive to bring to contemplation. Admittedly, no time for timewasters, tinfoil hat conspiracists, luddites, or energy vampires. Talking about ‘old problems’, with ‘old voting systems’ – that consideration is now seemingly to be rendered obsolete by blockchain technology. There is a link on this BellaCaledonia article, through to our wordpress, specifially with accumulating media quotes from academics, politicians, the business community, and us ordinary Scots. Have a read, and see exactly what is now being said. Trilogy part 3, the first ever MP article in history, on #BlockchainDemocracy confirms, ‘Scotland is more than capable of leading the charge’. Folks, MP’s from West Dumbartonshire don’t say things like that, unless they absolutely mean it. You know, the single thing that astonishes me most about Scotland, in the last 6 months. We’ve delivered pioneering groundbreaking blockchain democracy investigative reporting which has had very significant global viral, especially via our Business for Scotland Trilogy, and the number of retweets I have seen, from any easily identified Unionist twitter feed, is zero. And I mean, Zero. Why is that? Aren’t WE ALL interested TOGETHER, in improving EVERYONE’S future democracy? And, nobody has any right whatsoever, to even try to be critical about Scotland’s #BlockchainDemocracy endeavours, until the academics and engineers have physically delivered their future results, whenever that may be. So PLEASE, to repeat, allow them all, time and space. Have patience! In the interim, absolutely delighted to confirm that @YesDayScotland has been invited to The Scottish Parliament, for an update on exactly where it’s all at, in terms of digital vote trial updates. This is via WebRoots Democracy, specifically #Cratos. I will be tweeting world exclusive on that, from the Sir Ian Fleming room, 6pm Tuesday 19th June. Tune in, over on twitter! A very special thanks to Areeq Chowdhury, CE of WebRoots. Nothing wrong with blockchain. Estonia is a nice example – and the things they have learned eclipse most other nations – but – Id cards for all – electronic, which themselves have been found to be severly flawed. note the criticism section. Please refer to my moderately technical takedown of E-Voting (above) in general – not blockchain per se, but the surrounding infrastructure. But let me make it clear. More voter interaction is GOOD. Securing and implementing an e-voting system should be akin to flying the space shuttle. Multiple independent computer systems that ALL get the votes, and all get to produce counts independently. It adds ‘more’ to blockchain – because more is needed. Exactly why is this “endeavour” beyond criticism? If something is promised like “financial, social justice and political benefits” and I would suggest these are actually dramatically over promised then surely criticism from the taxpayer who is ultimately funding this would be not just issued by right but also deservedly when the money could be spent on better things. I am sick and tired of hearing from the SNP that the tories and their austerity are the root cause of the current issues where poverty is on the increase in Scotland when the real culprit is wee Nicola and her incompetent administration. Research such as this might be nice to have but given the constant carping we have received it is clearly another luxury we cannot afford. People need to be fed and housed, roads need to be fixed, the health service in Scotland needs to be adequately funded as does the police, the fire service and just about every other public service. I like your Back to Basics approach Jamsie, very appropriate for these straightened times, and I quite agree we should never innovate or research anything. In light of the priorities you’ve outlined there’d be no room for the frivolities of a farcical Celebrity Feudal wedding event, am I right? You are absolute correct of course. However I am just a wee bit concerned you have dropped the ball here. As I understand it the funding for this research comes from the Scottish “government” who continually tell us about Tory austerity causing the increase in people starving in Scotland. I am fairly sure the same “government” will not be contributing to the wedding but if they are then yes I wholly condemn this as well! And the video which cost £6.1m to promote the party! If there is anyone who thinks that Scotland can’t achieve #BlockchainDemocracy, it’s worth pointing out that the scope of what we’re talking about, has already been achieved. @Nicholas Russell, I would be a little more careful about overstating what has already been achieved. The article only says that “more than 50 citizens in Zug” self-registering have verified their identities and are in the position to use local government services. It also requires a passport number, and not everyone has a passport. It says that surveys are a future possibility. Normally, there are restrictions on eligibility for voting, which may vary between different elections or referenda, and during a person’s lifetime. I would be more concerned with the regulatory framework surrounding direct democracy than the technology which has to support it. Clearly, direct democracy (however constituted) will present opportunities for abuse; not only will rules need to be constructed and applied, but enforcement and suitable penalties for abuse need to be effective. You might think about what properties of an individual need to be available, such as age (the Zug system has date of birth), nationality (not simple, see the exclusionary principle in Australian politics), criminal conviction status (not simple, some convictions, say for dishonesty, may bar participation), residence status (for local as well as national participation, including time period), excluding debarred professions or conflict of interests, and so on. Voting can be pseudo-secret, but participation in public forums will not be entirely private (and even if anonymised people will tend to give away potentially identifying details). To promote the technology by itself without addressing the whole solution is, I feel, going to be a counterproductive move. I believe you are ultimately going to have to sell the idea on the evidence that it makes for better decision-making. What was achieved, was the setup! Their stated ambition, is for all 30,000 residents. For a fuller appraisal, into our twitter and search: @YesDayScotland Zug (All Tweets) – have been updating progress since summer 2017. It is, a work in progress. Quote: ‘So the opportunity for Scotland is simply one of implementation; the technological leaps have been made and the best practice blueprints documented and shared. We have talked the talk of becoming a world leading digital nation, now we need to walk the walk’. It’s reckoned that blockchain as a generality can save a country 2% GDP, in Scotland’s case that’s over £3billion per year. Onwards! Ambition stated beyond that already achieved by Estonia! Self-sovereign identities, and DIGITAL VOTING. Congratulations to all involved. Such a proud day for Scotland. Very interesting but in this fallible world can it ever be safe. I would like to believe it is the answer. Our present system is corrupt.